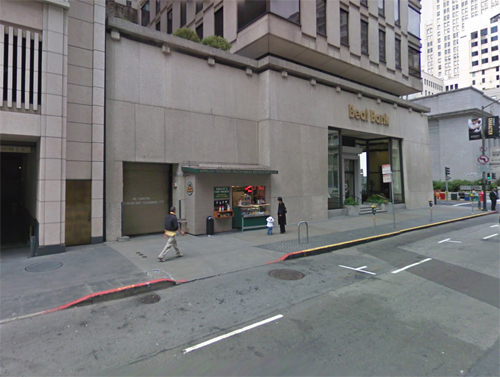 The Beal Bank Building is located on 249-299 Pine Street in San Francisco, USA. Today, this building is alson know as Hong Kong Bank Building, since the Beal Bank is no longer located here. The building is from 1964 and responsbile architects were Hertzka and Knowles, Architects. 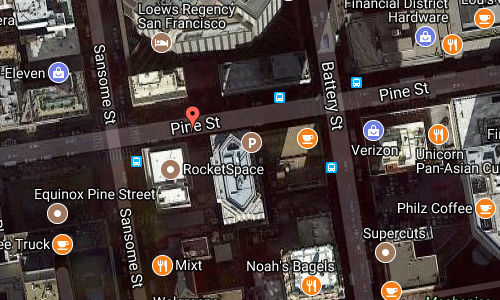 Pine Street is part of the Financial District, a neighborhood in San Francisco, California, that serves as its main central business district. It is home to the city’s largest concentration of corporate headquarters, law firms, insurance companies, real estate firms, banks, savings and loans, and other financial institutions. All six San Francisco Fortune 500 companies—McKesson, Wells Fargo, PG&E, Gap, Charles Schwab, and Salesforce.com—are located in the district. 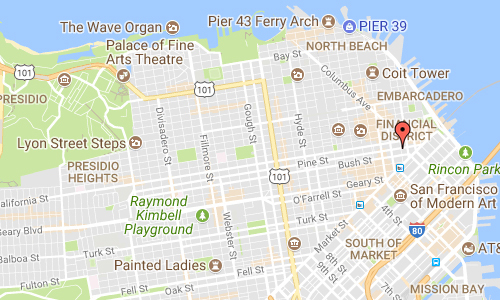 The area is marked by the cluster of high-rise towers in the triangular area east of Kearny Street, south of Washington Street, west of the Embarcadero that rings the waterfront, and north of Market Street. The city’s tallest buildings, including 555 California Street and the Transamerica Pyramid, and many other tall buildings, such as 101 California Street and 345 California Street are located there. Montgomery Street (sometimes called “Wall Street of the West”) is the traditional heart of the district. 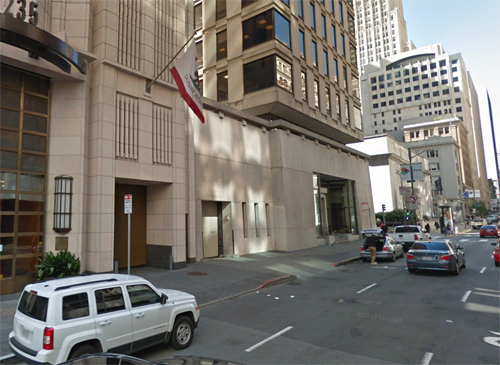 Since the 1980s, restrictions on high rise construction have shifted new development to the adjacent South of Market area surrounding the Transbay Transit Center. This area is sometimes called the South Financial District by real estate developers, or simply included as part of the Financial District itself. More information at en.wikipedia.org and www.bealbank.com.